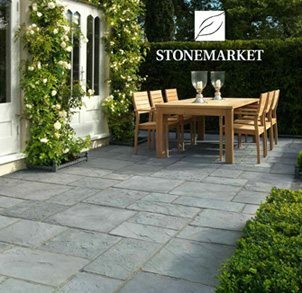 to the Stonemarket range, presenting our portfolio of cutting edge garden and driveway products, to help you create your own unique space. Stonemarket is renowned for innovative product development and this year is no exception, with a really outstanding selection of British-made materials, complemented by the best natural stone and vitrified products the world has to offer. to Marshalls landscaping solutions for gardens and driveways If you’re looking for the very best landscaping products for your home, this brochure will provide you with the information and the inspiration to choose the best possible products for your garden and driveway. 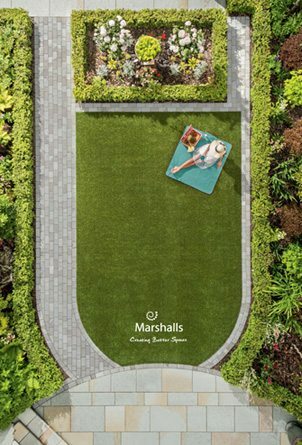 For decades, Marshalls products have helped homeowners and landscaping professionals to achieve beautiful and practical results. We pride ourselves on going the extra mile – we are the only company showcasing our products in real homes, installed by professionals from our own Register of Installers. It’s how we ensure that our customers can trust the content, advice and guidance we give in our brochure and on our website www.marshalls.co.uk.